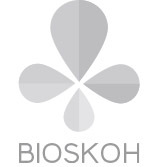 BIOSKOH is a flagship research project to demonstrate a first of its kind commercial-scale second generation biorefinery. A sustainable, circular bioeconomy project, BIOSKOH will transform a brownfield industrial site in eastern Slovakia into a 55 kton cellulosic ethanol production facility. A breakthrough project, BIOSKOH will eventually pave the way for the largest second generation (2G) biorefinery in Europe (110 kton).